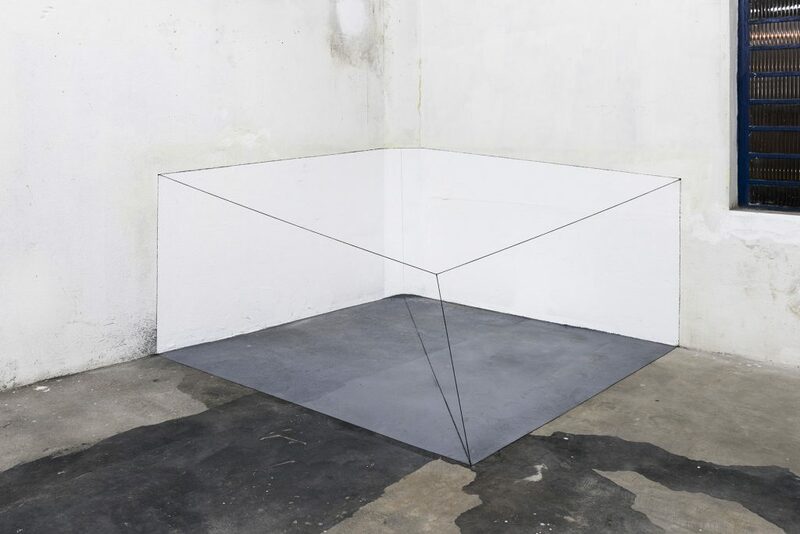 The work of artist Lydia Okumura is being shown simultaneously in two galleries in São Paulo. 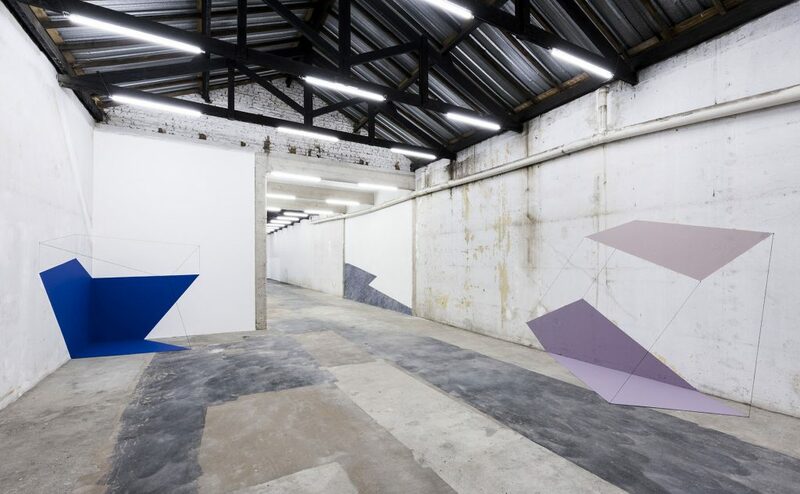 Through March 11, the São Paulo-born artist, who has lived in New York since 1975, occupies two floors at the new home of Galeria Jaqueline Martins. At auroras through March 19, she displays three works from “The Appearance” series, which was first shaped in 1976 in New York. 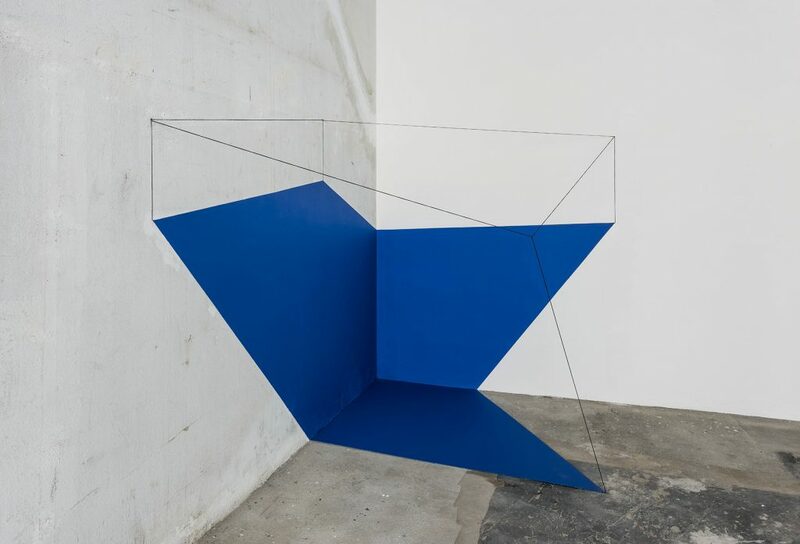 Since the 1970s, Okumura has been steadfastly dedicated to her rigorous yet fluid minimalist volumetric experiences in space with sparse materials such as a string, a graphite pencil or sometimes acrylic paint, on her two main support tools, the wall and the floor, creating an atmospheric, geometrically precise sculptural-installation oeuvre charged with sublime beauty. Prior to her current São Paulo solo shows, the works were displayed at the University of the Buffalo Art Gallery. Until April 7, Okumura, who is in collections such as the Metropolitan Museum and the Pratt Institute Art Gallery in New York, will be on show at the Mary Elizabeth Dee Shaw Gallery at Weber State University in Utah. Later this year, they will rove to the University of Texas, following to Pasadena. The exhibition finally returns to New York City to the Broadway 1602 Gallery that represents her in the US. 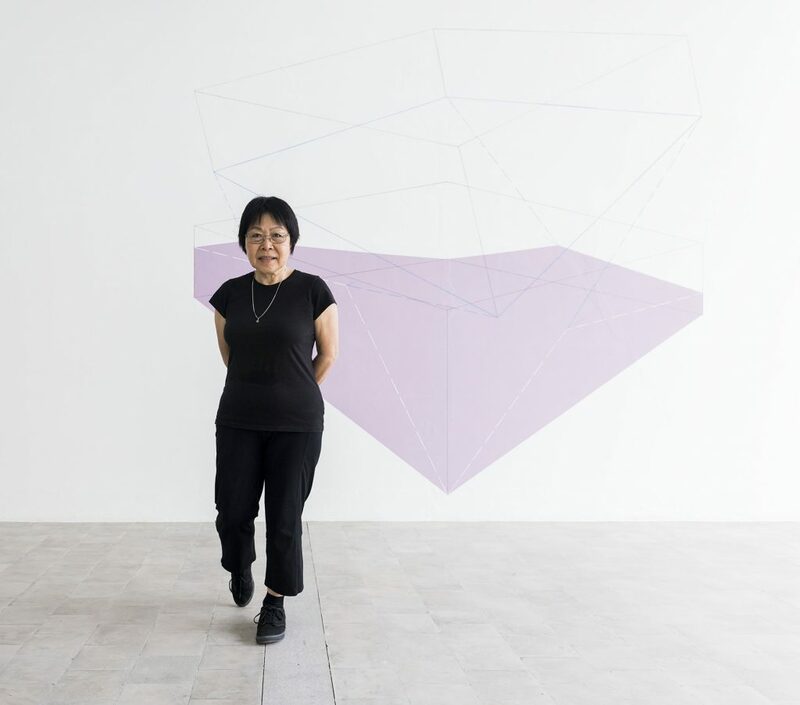 Okumura has participated at four São Paulo Bienals (1973, 1977, 1979, 1983) and has realized her large-scale sculpture installations at the Pinacoteca and at the MAM, in São Paulo. She has also shown in Japan, her parents’ home country. In Tokyo her art has been displayed at the Ginzakaigakan Gallery, Watari Gallery and Hara Museum of Contemporary Art, as well as in Osaka, at the Utsubo Gallery. 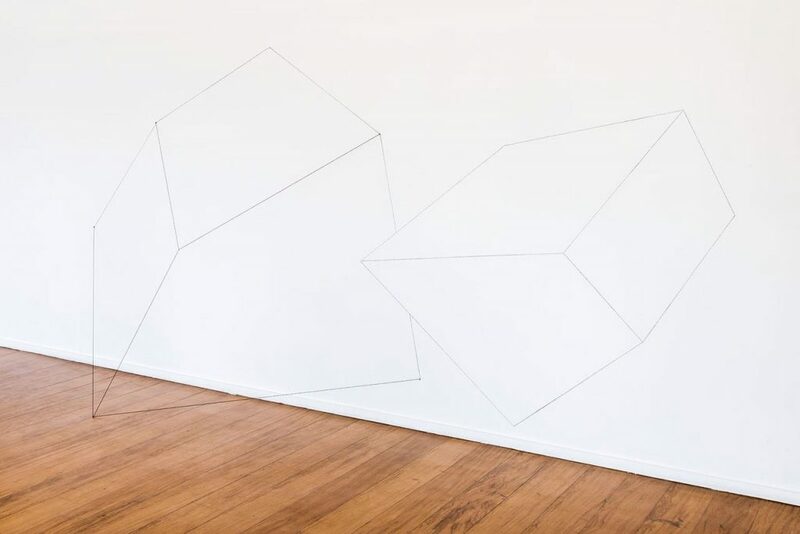 Lydia Okumura, The Appearence, NY, 1976 – SP, 2017, cotton string and graphite, 217 x 427 x 77 cm, ed. 1 of 4./Photo: Ding Musa. Courtesy auroras. Lydia, your work is being shown simultaneously in two galleries in São Paulo, at auroras and Jaqueline Martins. How come? Ricardo Kugelmas of auroras had invited me to do a show in his space, when Jaqueline Martins also offered me an exhibition in her new address. Considering that we were short on time, it was only possible if we opened both solos simultaneously. Since both galleries are very unique areas in terms of space, I was able to develop site-specific works with new ideas for both places. It was uncommon to study English in the 1970s in Brazil. Did you already consider living in New York as an option? Among my childhood dreams, one was to speak English, so I enrolled at Cultura Inglesa [language school] in São Paulo until I was admitted in 1970 to FAAP [Armando Alvares Penteado Foundation and college]. Since then I never stopped reading in English and Japanese, and I always spoke Japanese with my parents. Do you visit Japan frequently? I went to Japan in 1979 on a Japan Foundation grant for a year, where I also did three solo gallery shows with my installations. I revisited Japan in 1985 when the Hara Museum, in Tokyo, organized the “10 Brazilian Artists Exhibition”—coincidently at the time I was accompanying my parents in a three-month trip to their homeland. Your father was a well-known calligrapher. How did Japanese art influence you? When I was seventeen, my father, Takashi Okumura, was strongly against my being an artist and I stubbornly didn’t listen to him. In his teens he dreamt of becoming an artist or a medical doctor, which he gave up when his father became bed-ridden. According to him, since he was a great calligrapher, his artistic spirit had a karmic effect on me. The minimal and geometric aspect of my expression is definitely Japanese. 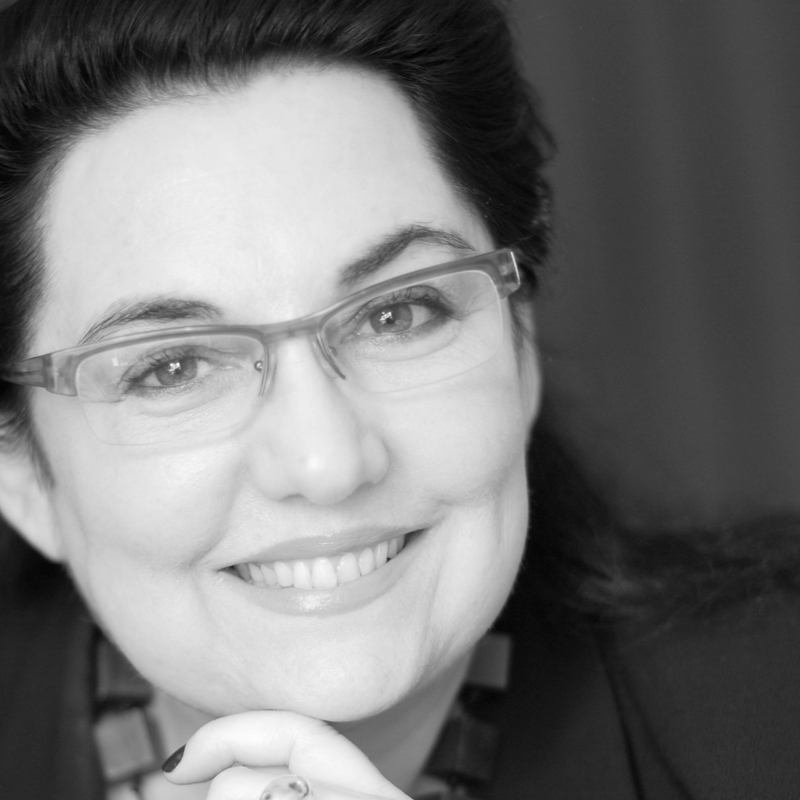 I love haiku, and I love reading in Japanese—it’s in my DNA—but I also love living in New York. As a kid were you talented in drawing? I went to Japanese school in Apucarana, Parana state, when I was four, and my drawings were always put up on the classroom wall. When I was eleven and living in São Paulo, I had a few painting classes in my Japanese school with the painter Masao Okinaka, and was awarded a certificate in a competition. I was sent to learn artistic and industrial ceramics in a secondary Brazilian school but I didn’t care for decorative arts, so I went on doing my own things in my spare time and sending my personal work to art competitions. I was first given a gallery exhibition in 1968 when I was nineteen. Then I was recommended to FAAP, where I was admitted to its art college in 1970. In 1970, we were under a hardline military dictatorship. Were you politically active? I was always busy with no time to get involved with people or politics. Upon finishing FAAP and being awarded a prize at the 1973 São Paulo Bienal, I met German conceptual artist Klaus Rinke, who told me New York was the place to be if you are an artist. I obtained a student visa by applying to the Pratt Graphics Center in Manhattan, and arrived in New York in May 1974. I was twenty-five years old. 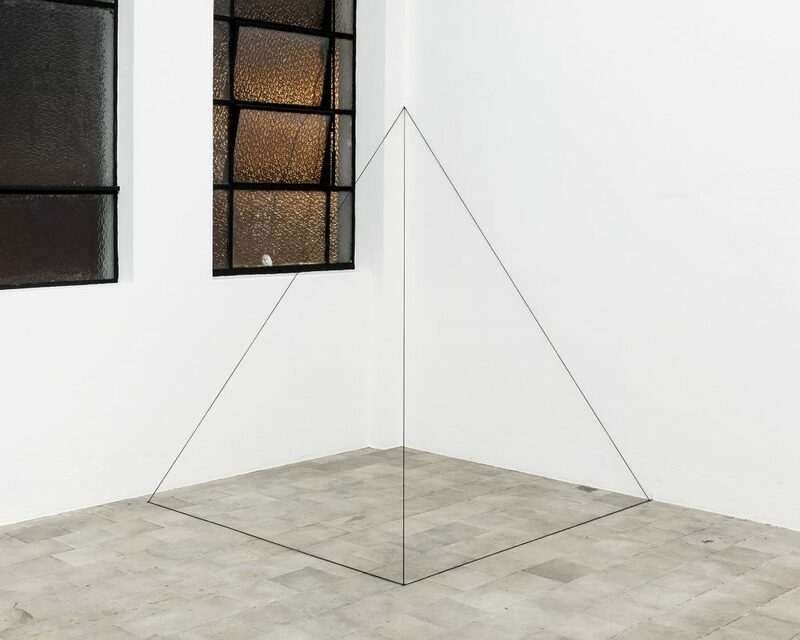 Lydia Okumura, The Appearence, NY 1975; SP 2017, string, 190 x 160 x 160 cm/Photo: Ding Musa. Courtesy Galeria Jaqueline Martins. When did you take a string, stretch it between two points but stretch it so that it described a volume? During college at FAAP, I looked for a unique way to express my ideas, and began to think about geometry and space. I would bring tools and basic materials to competition venues and ask permission to use the existing walls or floor to express my ideas about the space of the mind and/or perception versus reality, etc. With minimum intervention, I tested beyond the realms of physical limitation and discovered that geometric language was an intelligent way to express simple, clean, concise, truthful, harmonious, conceptual ideas. I used a string in order to create a line in space, or to sustain something in space. I used nylon strings and cords in works done for competitions in 1971, 1972 and 1973, in Brazil. When I came to New York, I started to make quick and simple constructions with strings in a corner of the loft where I lived, and took photos of these experiments to use the images of the three-dimensional constructions in flat, two dimensional prints, in silkscreen or lithographs at the Pratt Graphics Center. I longed to combine the idea of dimensions—from three-dimensional to flat surfaces—to multi-dimensions perceptible by the mind. As an artist you are very sparing in your use of artistic means and yet you use them to great effect. Please tell us about your work process. In 1971, while I worked in an art collective with three friends at the JAC [Jovem Arte Contemporânea], at MAC/USP, I noticed my own long shadow projected on the floor by the sunlight coming through the glass walls of the museum. I had my shadow traced on the floor at three different times and named it “Me, the Sun and the MAC.” I understood it was okay to make art in a spontaneous way, using the minimum necessary in order to express an idea. Flexibility and clarity of mind helps all the time. When the work is done, it resonates some kind of vibration, which you may perceive as spiritual, internal music. I think that an idea is an energy that transmits and exists in its own. I want to express the immateriality in everything. Tell us of some life-changing experiences that led you to new discoveries. My life changed when I lost my loft in the late eighties. I flew all my work to Brazil, and started over in New York taking a full-time job, renting an apartment and a separate studio. I did my painting at night and on weekends. I only showed my paintings whenever I was invited, like in Ottawa in 1993, and in São Paulo in 1995 and 2004. Meanwhile I became an interpreter and did document-reviewing jobs. After a long period of introspection, now I understand that everything happened for my own betterment. About five years ago I started being rediscovered and reactivated by the historic revision of the art movement of the seventies, and I have been very fortunate since. When a revision of the nineties comes around, I’ll have my paintings ready. What art-historical names do you see in your lineage? Is it fair to say that you wanted to move away from the object? In 1970, I read about the Tokyo Biennial inviting forty conceptual artists from the USA and Europe, offering a room for each artist. By then I had understood what Conceptual Art was about. I took that Japanese magazine to my class at FAAP, and discussed it with artist colleagues. By suggestion of communication professor Rafael Buongermino, we had our first exhibition of Conceptual Art with classmates and friends, at Centro Cultural SESC Villa Nova, in São Paulo, in early 1971. Then I met German artist Klaus Rinke, whom I had read about in that Tokyo Biennial article, who was participating in the 1973 São Paulo Bienal as was I and my friends Genilson and Francisco Inarra. Later, I also met Sol Lewitt in New York. Tell us about your friendship with Sol Lewitt. In 1974, at the Pratt Graphics Center of Manhattan I heard from the coordinator about Sol Lewitt and how his brother and friends living in the same building were making Sol’s artwork for him. Then in 1976, I had the opportunity to meet Sol personally when I was hired to work on one of his wall drawings in the lobby at The School of Visual Arts on 23rd Street in Chelsea. The walls had already been painted black and checkered in to large squares with thin pencil lines. My job was to use the straight edge and a wooden compass, and make straight or arched, broken or straight lines following the instructions. Towards the end, there was a corner at the ceiling impossible for me to reach because of six inches or so. Then Sol went up the ladder for me and finished it in less than two seconds. He asked me what I did, I told him I was an artist of the generation he and some others might have influenced. Then he asked me where I lived. One day, I was doing my work, I hear the door bell and there he was! And he saw my work in the making! I didn’t see him that many times but I was surprised when I received the NY CAPS grant for 1978, where I later found out, he had been one of the jurors, so I assumed he had acknowledged my work. In 1980 while I was in Japan I was asked by his gallery owner to accompany him and his wife to the Noto Peninsula in the snowy season. I never really had the opportunity to see him much afterward but I only have very warm feelings about him. Now let’s turn to how your work is sold. Is it sold by diagram, with instructions? Do you provide a formal certificate? The galleries issue a certificate, with diagram and instructions, and it is installed and supervised. Each work is issued into very small editions, which is strictly controlled by the galleries involved. Are there places more suitable in terms of accommodating your artworks? I have made site-specific work in residences and offices, where I study the condition of each place. I have to relate to the space so that it can bring about an awareness or a sense of self-consciousness to the viewer. Before we wrap up is there anything else you would like to say? In the late 2011, I received a visit by a researcher and art historian who was studying the Brazilian artists who had been living in New York in the seventies. She was totally surprised when she saw my portfolio and asked how could I have done so much work and nobody knew me? Nobody knows what a real struggle it is when you do not belong to the right category. Nowadays, this researcher teaches young curators about my work. Then in 2010 with my mother’s death, while organizing our family home in São Paulo I found a photo of a piece from 1972. I showed it to Jaqueline Martins, she exhibited it at SP-Arte in 2014, and it caught the eye of Anke Kempkes of Broadway 1602 Gallery in New York, who I’ve been working with since then. Five years later when Rachel Adams, a young curator of the Buffalo University Museum, saw an image of one of my pieces at the Independence Art Fair in In New York, she immediately started studying my work and did a magnificent job doing my retrospective at the University of Buffalo Art Museum Galleries, which just ended, and is now going to open at the Mary Elizabeth Dee Shaw Gallery at Weber State University in Utah March 3, as part of that retrospective, before going to Texas, and then Pasadena, later in the year. I am in awe with the beautiful catalog she made, which is being very helpful for those studying my work.